Constructionline work with thousands of buyers across the public and private sectors, who use this platform to quickly identify suppliers with the range of skills and expertise to complete a whole range of construction projects. 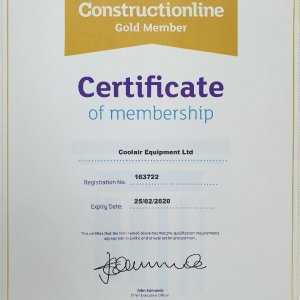 Gold membership means that our credentials not only for environmental and quality management, equal opportunities and BIM have been assessed, but that our policies and procedures on enhanced health and safety, equalities and modern slavery also meet the set standards. 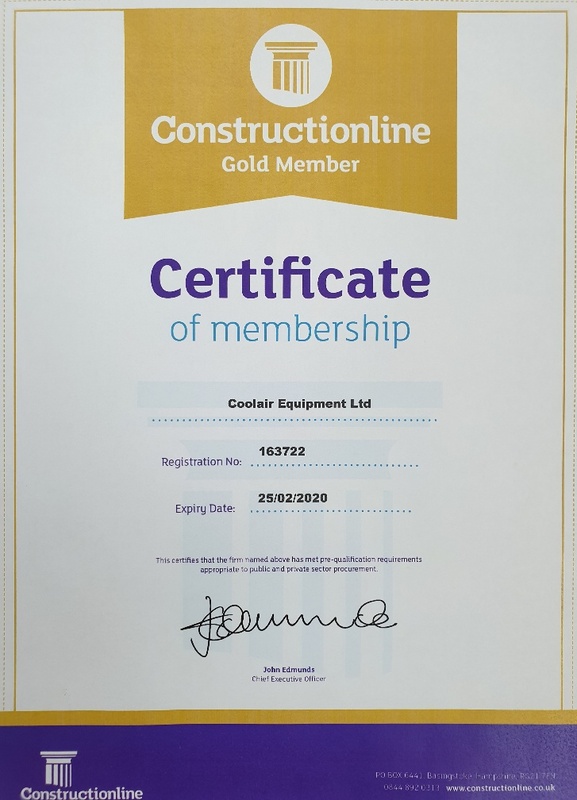 We are delighted to add this to our growing list of accreditations and look forward to continuing to work with our customers and partners within the industry who demand the high level of professionalism which this Gold standard represents. 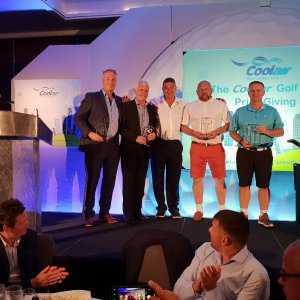 Coolair takes industry lead in Cyber Security.